Basith. S of Placid Vidya Vihar Kurisummudu,, Alappuzha and Niranjana Manayil, Bhavan’s Munshi Vidyashramam, Thiruvankulam, Ernakulam have adjudged champions in the senior and junior category, respectively at the 12th SMA Abacus National Talent Contest held in Kochi. In the senior category Second position was won by Ashque Ilahi T.S. (St. Anns English Medium School, Eloor, Ernakulam. Parvathy Murali (St.Johns School,Kollam) stood third. In the junior category, Abhiram.S (Town U P School,Ettumanoor,Kottayam, District ) and Gayathri Krishnan (Rajagiri Hig School, Kalamassery,Ernakulam) have won second and third positions, respectively. Champions in the High-Speed Abacus oral Competition are:1st -Vaishnav.V.V,(S.M.H.S.School, Cherai),2nd - Sabareesh R Varma (S.F.S.School,Ettumanoor) and 3rd - Adithya Dinesh (Assissi Vidya Nikethan,Njarackal). Graduation ceremony, Demo of Abacus, Memory Techniques, Calendar memorization and Abacus high speed oral competition , Rubik’s cube solving competition were also held as part of the annual meet. There was cultural and entertainment programs followed by the competitions and nearly 2000 students from across the nation participated. 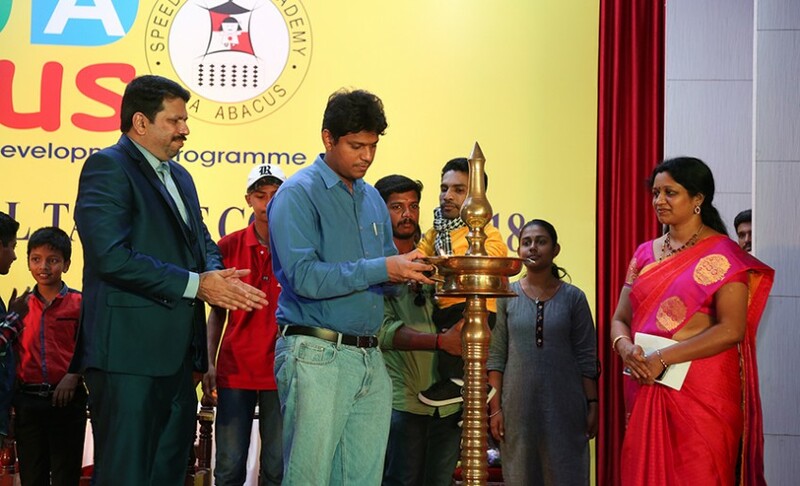 District Collector Mohammed Safirulla inaugurated the 12th Abacus National Talent Contest, which saw more than 2000 participations from SMA Abacus centres. Cine Star Guinness Pakru and SMA Abacus (India) Private Ltd Managing Director of R.G. Suresh Babu also spoke on the occasion.